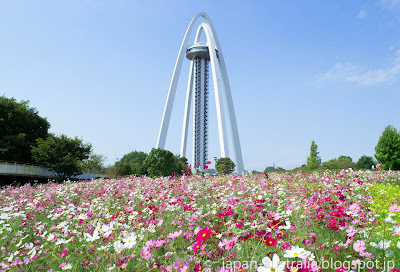 138 Tower Park in Ichinomiya, Aichi Prefecture is short trip down the road for us here in Gifu City. It is an amazing park, one of the best public parks in Japan with lots to do and see for the whole family. The must see attractions include the spectacular 138 meter high observation tower with dual arches, which gives the park its name. 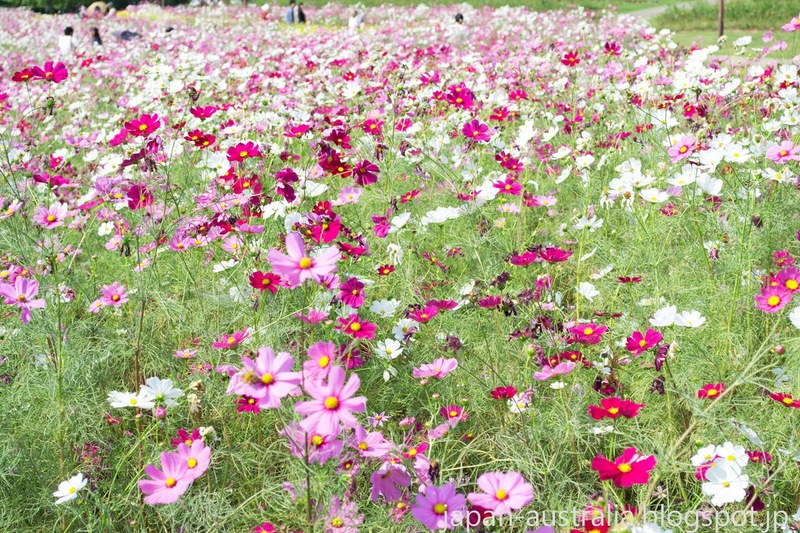 A rose garden with around 4000 perpetual roses, and a beautiful garden that features seasonal flowers such as cosmos. It is also one of the best places in Aichi Prefecture to see the beautiful cherry blossoms in spring. 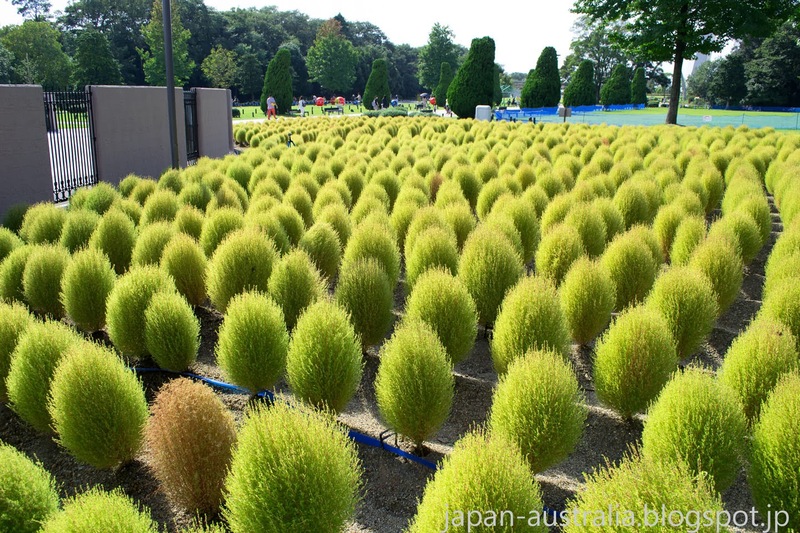 There is also a lot for families including Japan’s first plant made maze “Pisani’s Maze”, large grass field, large wooden playground, fuwa fuwa dome, rock climbing and lots more. The Twin Arch 138 Observation Tower at 138 meters tall was built in honour of Ichinomiya City. 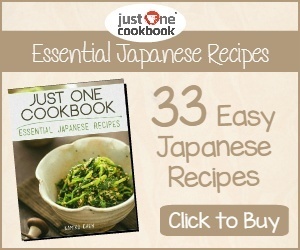 In fact, 138 can be read in Japanese as ichi-(no)-mi-ya and hence the name. 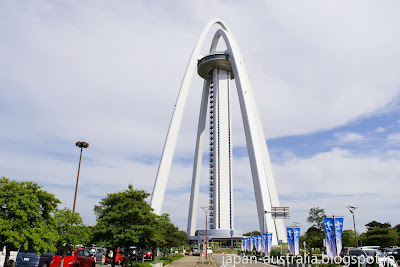 It is the tallest arch style tower in Asia and contains an observation deck 100 meters above the ground. The view from the observation deck is spectacular with an awesome view of the surrounding area including the Japan Alps, Nobi Plain and Nagoya. 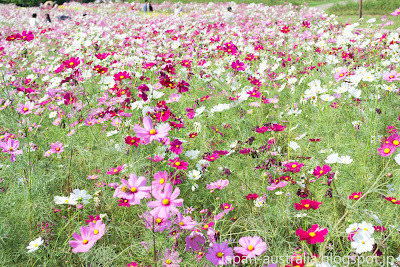 There are various kinds of cosmos flowers at the park ranging in colour from pink, purple and white. The best time to see them is typically late September to mid-November. 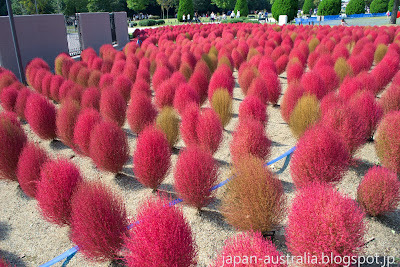 The park also has a small collection of kochia, also known as summer cypress. It is a type of large herb that grows in bushes about 90 centimeters tall. During Autumn they take on a brilliant red colour lending the name "Burning Bush". Cherry Blossom Festival – Late March to early-April, come and enjoy the beautiful cherry blossoms with a “hanami” under the flowering trees. 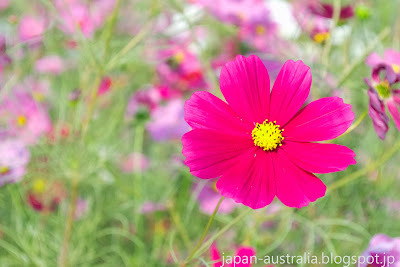 Spring Festa – mid-April to early-May and features colour flowers such as tulips, hyacinths and poppies. Rose Festa – mid-May to early-June, 9 varieties of 4000 roses can be enjoyed at their peak during this time of the year. Summer Festa – mid-July to late August, splash around in the “Pond of Comfort” and enjoy events such as Bon-Odori and an open-air movie theatre. Autumn Festa – mid-September to early-November, experience the beautiful cosmos at their peak. Winter Illuminations – mid-November to late-December, the park is decorated with around 500,000 light creating a spectacular winter illumination. I'm just popping in to say hallo. I've been battling bravely with a heavy workload, so I've been neglecting other blogs (and my own!) rather badly.